Visit the world's capital city of whale watching - Husavik! Upon arrival to Keflavik Airport, your car is ready for pick-up at the airport. Drive to your hotel of choice in Reykjavik for check-in and spend the rest of the evening at your leisure. Today you will travel northwest and towards Snaefellsnes Peninsula. On the way, you will stop at a small farmers town, Borgarnes - the capital of West Iceland, and visit seal colonies along the peninsula before continuing to the Snaefellsjokull National Park area. Here, you can see Djupalonssandur Beach, picturesque fishermen villages and a variety of sea birds. Continue along the northern side of the Peninsula towards Stykkisholmur, the gateway to the Western Fjords. Check in to your accommodation in the Stykkisholmur area. In the morning, depart on a ferry ride to cruise along the islands surrounding Breidafjordur Bay. The scenery is spectacular as you cruise for 2.5 hours towards the West Fjords. Once you reach Latrabjard Cliff, expect to see thousands of puffins as well as a variety of other birdlife nesting in the area. Stroll along one of the most magical beaches of Iceland - Red Sand Beach. After breakfast, depart towards Isafjordur, the largest city in the West Fjords and can be characterised by its stunning beauty. 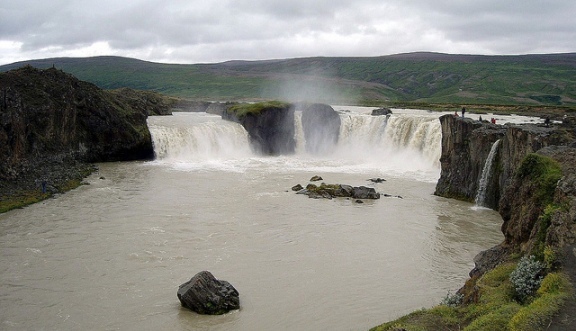 On the way, you will stop by Dynjandi waterfall and continue through the Flateyri tunnel. In the summer, you can choose to go kayaking in the Isafjordur fjord. There is no better way to capture the magic of Isafjardardjup than to drive along the many beaches and fjords of this area. Along the way, visit the Arctic Fox centre at Sudavik, and continue along the coast to find many colonies of seals laying around without a care in the world. As you reach Reykjanes, you can go for a swim in an open geothermal pool. Visit the Museum of Sorcery and Witchcraft in Holmavik before checking in to your accommodation. After breakfast, search for more large seal colonies as you make your detour around the Vastnes Peninsula. Look out for one of Iceland's most famous natural statues that looks like a giant troll standing on the shoreline of the sea. Stop for refreshments when you arrive to the small town of Blonduous, located on the banks of Blanda river. After reaching the Skagafjordur region, you can visit the Glaumbaer grass house Musuem, and experience a 'Hobbit' life from Lord of the Rings as you explore unique houses with grass roofs. You will check in to your accommodation in the Varmahlid area tonight. Today's main sites will be Trollaskagi Peninsula and Akureyri, a town located only 60km south of the Arctic Circle. Drive along the shore of Skagafjordur and visit the fishermen village called Siglufjordur, once thrived on its herring business at the beginning of the 20th century. 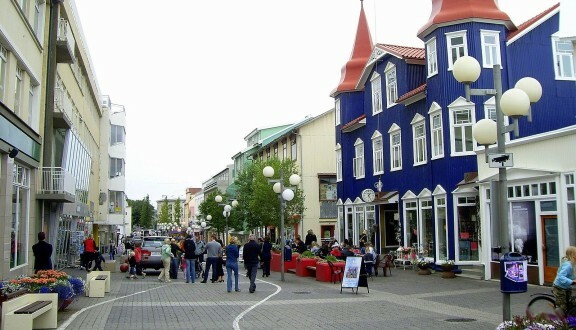 As you arrive to Akureyri, you will immediately notice its strikingly mild climate. Despite its proximity to the Arctic Circle, it has the best weather in the country! Take your time to explore this beautiful city after checking in to your accommodation. Departing Akureyri today, you will continue towards the Godafoss waterfall, a waterfall enriched with past historical stories where its water was used by the Norse kings who ruled Iceland. The landscape changes dramatically as you continue to Lake Myvatn. Steam will rise from different parts of the Lake which indicates its high thermal activity. There are many activities to choose from around the Lake, such as a walking trail that leads to a wonderful viewpoint. End the day in the charming town of Husavik, where you can spend your evening on a whale-watching cruise (optional). After breakfast, drive north towards the Gulf of Oxarfjordur. On the way, you will stop at Jokulsargljufur area and enter Asbyrgi Canyon. After, visit the largest waterfall in Europe, the Dettifoss Waterfall and feel its tremendous force from afar. 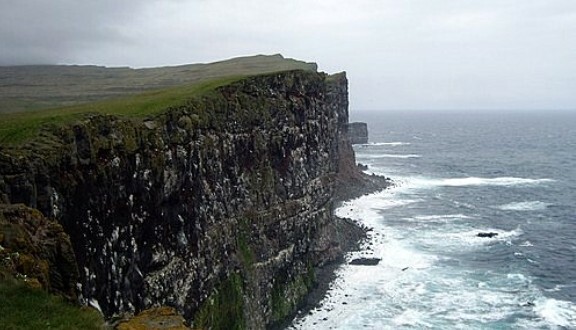 You will reach the Egilsstadir area for your overnight stay. 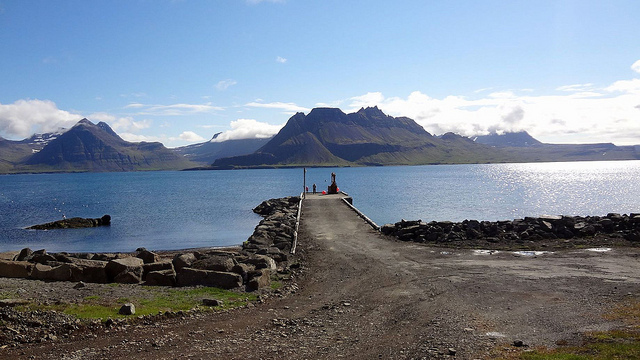 Start your day with a visit to Sydisfjordur fishing village, surrounded by beautiful fjords and numerous waterfalls. The picturesque road you travel along will continue along the East Fjords, each fjord telling its own story. During the summer, you can take a boat trip from Djupivogur to the Puffins Island Papey. Continue to Hofn, another flourishing fishermen town that is located on the edge of the Vatnajokull glacier. View the edges of this glacier from the village. Continue west towards the Jokulsarlon glacial lagoon this morning and witness the huge glaciers, real sculptures of nature drifting across clear waters of the lagoon. Continue along the South coast to Skaftafell National Park, which offers many walking tours that will lead you to spectacular waterfalls. Make your way through the glacial outwash plain of Kirkjubaejarklausur until you reach Vik where you will stay for the night. Reaching Southern Iceland, you will feel familiar seeing the impressive lava formations that decorate Reynishverfi's black lava shores. Climb up to the lighthouse used as a viewpoint over the nearby cliff Dyrholaey. Myrdalsjokull Glacier will be the dominant feature of Southern Iceland as you explore the area. You willl visit a few of Iceland's famous waterfalls including Skogafoss, Seljalandsfoss and Gullfoss. 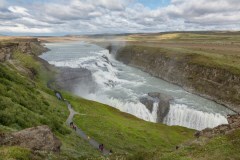 Your accommodation will be in the Gullfoss area tonight. Spend your second last day at Faxa waterfall and Kerid's volcanic crater, a natural phenomenon of a lake that is formed at the top of the new crater. You will explore Thingvellir National Park, a UNESCO World Heritage Site. Afterward, spend your afternoon soaking in the famous Blue Lagoon, one of the world's best thermal baths and is the best way to end a memorable trip in Iceland. Return to Reykjavik for the night where you will join on a night tour of the city in the evening. After breakfast, you can return the rental car at Keflavik Airport before boarding your outbound flight home. *Hotels are subject to change due to availability. Please note that the comfort option includes accommodation with shared facilities. Superior and Deluxe options include accommodation with private facilities. Rates are based on lead-in rooms. Other room types and hotels are available upon request. Rates are subject to change and different rates may apply during holiday seasons and special events.